Millennium 7 Publishing Co.: LinkedIn's Top Social Media Marketing Voices? 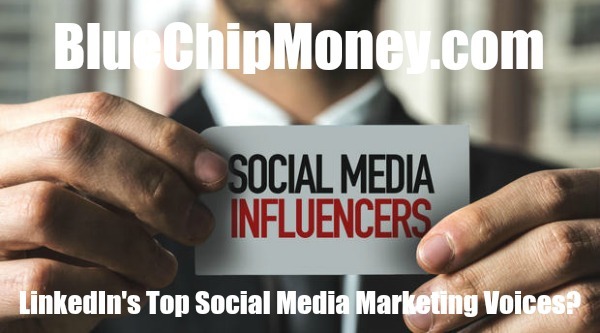 LinkedIn's Top Social Media Marketing Voices? Who were LinkedIn’s 2018 top voices for marketing and social media? LinkedIn unveiled its 2018 Top Voices for Marketing and Social Media Tuesday. The professional network said it measured activity from September 2017 through mid-September of this year, factoring in engagement (including comments and reshares) with original content and relative follower growth. LinkedIn and Microsoft employees were excluded from the list. LinkedIn added that its Top Voices are 84 times more likely to respond to comments or reply to other members’ posts, and they received an average of twice as many comments, five times more likes and three times more shares on their posts, articles and videos. Guest Authored By David Cohen. David is editor of Adweek's Social Pro Daily. He has been covering the digital industry since 2009 and was previously editor of AllFacebook and SocialTimes. Follow David on Twitter. 10. Jill Rowley, chief growth officer, Marketo."